Lately I just haven't felt like baking or making a whole batch of anything sweet. Some things sound nice, but a whole batch? Nope, not feeling it. Luckily, that's where single serve desserts come in. Whilst I'm still working on our Healthy Single Serve Dessert Recipe eBook (sign up here if you're interested in that so I can let you know when it's ready! ), today I wanted to share a quick and easy oven baked dessert we just can't get enough of! 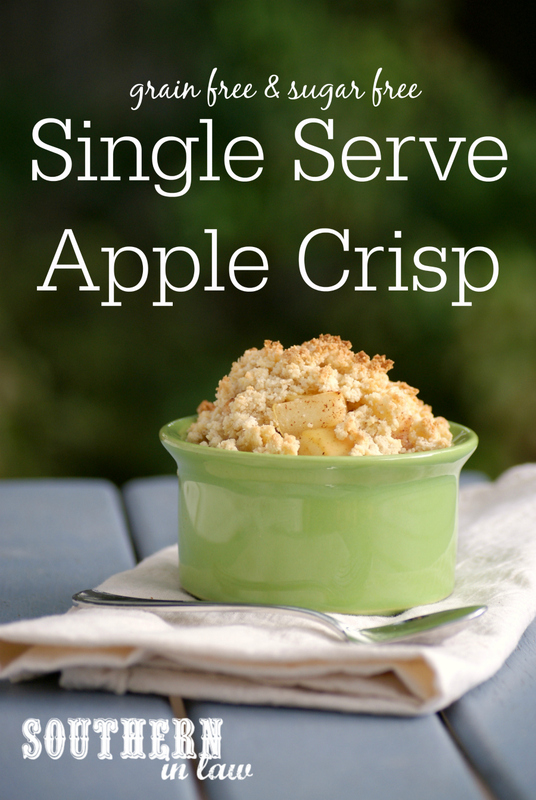 Apple crisp/apple crumble is always a favourite of ours - especially after we go apple picking and have a ridiculous amount of apples to use up. 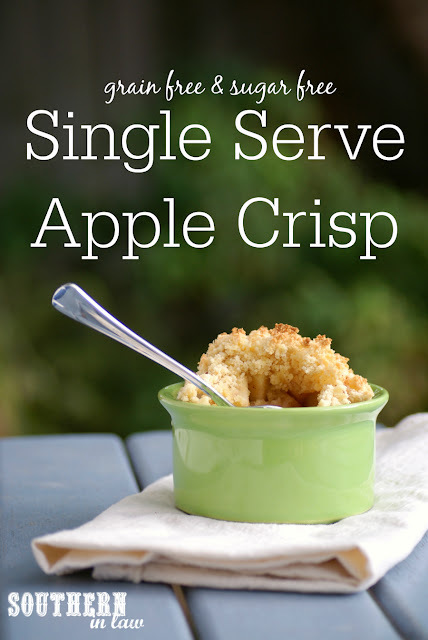 Lately I've been whipping up this quick and easy apple crumble recipe whenever the desire strikes and it's so good I knew I had to share it! It's the perfect dessert to make on a cool Autumn evening, when friends pop around unexpectedly or when your husband picks 8kg of apples and you realise your apples are starting to go a little soft and there's so many apples you can eat on your own. Oh, you don't have that problem? Nevermind. Regardless, it's the perfect dessert for just about ANYONE as it's gluten free, grain free (possibly paleo? ), refined sugar free, vegan and so so simple! Best of all, it's so healthy you can even enjoy it for breakfast! 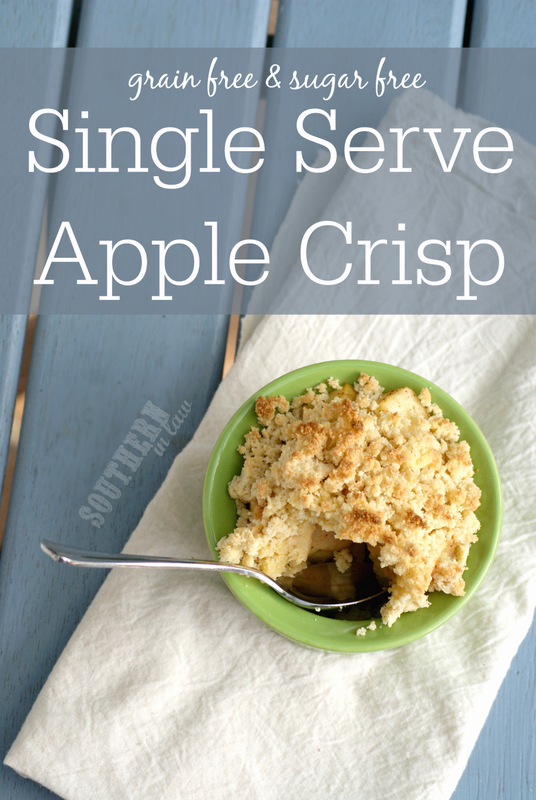 Breakfast Apple Crisp Recipe, anyone?! In a small saucepan, cook your apples with your water and sweetener/spices (see notes) until your apples are your desired softness/consistency. I like them just the slightest bit cooked but if you prefer more of an apple pie filling, cook them for longer or use canned pie apple. In a small mixing bowl, mix your almond meal, coconut and maple syrup. If you like things on the sweeter side, add in a teaspoon of sugar as this topping is only slightly sweet. Simply adjust the recipe according to your tastes! 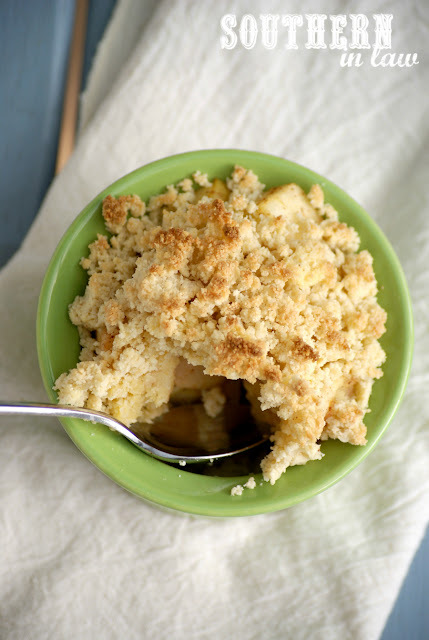 Pour your apples into a ramekin, single serve baking dish or small ovensafe bowl and pour your crumble mixture on top. Bake for 7-15 minutes or until your crumble is golden and crunchy. Keep an eye on it as it cooks as your topping will brown quickly! But tell me, are you a fan of single serve recipes? What's your current favourite dessert/sweet treat? I am loving ALLLL the warm desserts at the moment as it's getting a little chilly!